showed a sick mind with moral deficiency and emotional taint. To describe facts was held to be wishing them and creating them. As late as the 20th century, anyone pointing out the political nullity of the “leagues of nations” was a prophet of despair. Rationalism is anti-historical; political thinking is applied history. In peace it is unpopular to mention war, in war it is unpopular to mention peace. The theory which becomes most quickly popular is one which praises existing things and the tendency they supposedly illustrate as obviously the best order, and as preordained by all foregoing history. Thus Hegel was anathema to the intellectuals because of his State-orientation, which made him a “reactionary,” and also because he refused to join the revolutionary crowd. does not read like The Prince, but praises the entire human race, except certain perverse people, the author’s opponents. Yockey counterposed the liberal, i.e. someone who won’t take his own side, against the “political”, i.e. those who will. Today’s White politicians have “progressed” to the point where they are increasingly anti-White and openly take the side of the non-White Other. Actually Machiavelli’s book is defensive in tone, justifying politically the conduct of certain statesmen by giving examples drawn from foreign invasions of Italy. During Macchiavelli’s century, Italy was invaded at different times by Frenchmen, Germans, Spaniards and Turks. When the French Revolutionary Armies occupied Prussia, and coupled humanitarian sentiments of the Rights of Man with brutality and large-scale looting, Hegel and Fichte restored Macchiavelli once again to respect as a thinker. He represented a means of defense against a foe armed with a humanitarian ideology. Macchiavelli showed the actual role played by verbal sentiments in politics. One can say that there are three possible attitudes toward human conduct, from the point of evaluating its motives: the sentimental, the realistic, and the cynical. The sentimental imputes a good motive to everybody, the cynical a bad motive, and the realistic simply seeks the facts. When a sentimentalist, e.g., a Liberal, enters politics, he becomes perforce a hypocrite. The ultimate exposure of this hypocrisy creates cynicism. Part of the spiritual sickness following the First World War was a wave of cynicism which arose from the transparent, revolting, and incredible hypocrisy of the little men who were presiding over affairs at that time. Macchiavelli had however an incorruptible intellect and did not write in a cynical spirit. He sought to portray the anatomy of politics with its peculiar problems and tensions, inner and outer. To the fantastic mental illness of Rationalism, hard facts are regrettable things, and to talk about them is to create them. A tiny politician of the Liberal type even sought to prevent talk about the Third World War, after the Second. Liberalism is, in one word, weakness. It wants every day to be a birthday, Life to be a long party. The inexorable movement of Time, Destiny, History, the cruelty of accomplishment, sternness, heroism, sacrifice, superpersonal ideas — these are the enemy. Liberalism is an escape from hardness into softness, from masculinity into femininity, from History to herd-grazing, from reality into herbivorous dreams, from Destiny into Happiness. Nietzsche, in his last and greatest work, designated the 18th century as the century of feminism, and immediately mentioned Rousseau, the leader of the mass-escape from Reality. Feminism itself — what is it but a means of feminizing man? If it makes women man-like, it does so only by transforming man first into a creature whose only concern is with his personal economics and his relation to “society,” i.e., a woman. “Society” is the element of woman, it is static and formal, its contests are purely personal, and are free from the possibility of heroism and violence. Conversation, not action; formality, not deeds. How different is the idea of rank used in connection with a social affair, from when it is applied on a battlefield! In the field, it is fate-laden; in the salon it is vain and pompous. A war is fought for control, social contests are inspired by feminine vanity and jealousy to show that one is “better” than someone else. And yet what does Liberalism do ultimately to woman: it puts a uniform on her and calls her a “soldier.” This ridiculous performance but illustrates the eternal fact that History is masculine, that its stern demands cannot be evaded, that the fundamental realities cannot be renounced, even, by the most elaborate make-believe. Liberalistic tampering with sexual polarity only wreaks havoc on the souls of individuals, confusing and distorting them, but the man-woman and the woman-man it creates are both subject to the higher Destiny of History. Yockey saw liberalism as springing from the White mind, Western philosophy and specifically Rationalism, originating with John Locke and Jean-Jacques Rousseau in the mid-18th century. More than once Yockey asserted that Rationalism, and thus liberalism, are based on the false premise that man is “good” by nature. He described liberalism as “Rationalism in politics”, a “mere negative” which weakens the State and makes it subservient to “society”, a loose grouping of free independent groups and individuals, a thoroughly liberal construct. Yockey saw liberalism as “thinking about politics” rather than “political thinking”, opposed to Authority in any form, but most especially the State and the Church. He saw liberalism as outside and in violation of his Laws of Totality and Sovereignty, thus corrosive to political organisms and the friend-enemy disjunction which defines them. “[A]lways and only a disintegrating force”. New (jewish) masters aside, Yockey saw a deluded sentimentalism in the liberal hope that elevating commerce and economics would end war, the harsh reality being that under this delusion wars had only become more devastating. Constant’s repeated denunciation of despotism pervaded his critique of French political philosophers Jean-Jacques Rousseau and Abbé de Mably. These writers, influential to the French Revolution, according to Constant, mistook authority for liberty and approved any means of extending the action of authority. Moreover, Constant believed that in the modern world, commerce was superior to war. He attacked Napoleon’s martial appetite on the grounds that it was illiberal and no longer suited to modern commercial social organization. Ancient Liberty tended to be warlike, whereas a state organized on the principles of Modern Liberty would be at peace with all peaceful nations. It is a mere critique, not a living idea. Its great word “freedom” is a negative it means in fact, freedom from authority, i.e., disintegration of the organism. In its last stages it produces social atomism, in which not only the authority of the State is combated, but even the authority of society and the family. At the same time a team of jews were hard at work attacking the White family and producing social atomism with The Authoritarian Personality. In contrast to liberalism Yockey recommended Ethical Socialism, which Oswald Spengler called Prussianism. Spengler described the Prussian spirit as, “aristocratic virtue, of which few are possessed” and “a proud and exclusive Socialism for men of race, for the elect of life”. In other words the Aryan spirit, or the spirit of National Socialism. Yockey described “true liberalism” as Hegel’s view of bourgeois – the individual against the whole, who values personal security over courage and a potentially violent death. Liberalism, in one word, is weakness. At the very end he connects liberalism to feminism, “an escape from hardness into softness, from masculinity into femininity”. Yockey dedicated only 15 pages of his 619-page magnum opus to liberalism. In this series we have only barely probed his thoughts. Yockey’s words and style are deceptively simple. His ideas are rooted in and intertwined with historical and philosophical references which make true understanding difficult, even for those prepared to dig deeper. The effort is worth it, especially for thinkers looking for mental exercise and an excuse to trace through some of the vast history of European political thought. After having done so I can say that those less willing to embark on such excursions should feel no guilt or shame. There are more accessible works – e.g. by Kevin MacDonald or Revilo Oliver – from which one can learn more with less effort. that the rule of a “higher order” is an empty phrase, and is only given content by the concrete rule of given men and groups over a lower order. This was political thinking, which is directed to the distribution and movement of power. It is also politics to expose the hypocrisy, immorality and cynicism of the usurer who loudly demands the rule of law, which means riches to him and poverty to millions of others, and all in the name of something higher, something with supra-human validity. When Authority resurges once more against the forces of Rationalism and Economics, it proceeds at once to show that the complex of transcendental ideals with which Liberalism equipped itself is as valid as the Legitimism of the era of Absolute Monarchy, and no more. The Monarchs were the strongest protagonists of Legitimism, the financiers of Liberalism. But the monarch was tied to the organism with his whole existence, he was responsible organically even where he was not responsible in fact. Thus Louis XVI and Charles I. Countless other monarchs and absolute rulers have had to flee because of their symbolic responsibility. But the financier has only power, no responsibility, not even symbolic, for, as often as not, his name is not generally known. History, Destiny, organic continuity, Fame, all exert their powerful influence on an absolute political ruler, and in addition his position places him entirely outside the sphere of base corruptibility. The financier, however, is private, anonymous, purely economic, irresponsible. In nothing can he be altruistic; his very existence is the apotheosis of egoism. He does not think of History, of Fame, of the furtherance of the life of the organism, of Destiny, and furthermore he is eminently corruptible by base means, as his ruling desire is for money and ever more money. “The usurer” and “the financier” is best understood as jews, who do in fact care about the life of the jewish organism. George Soros is a contemporary example which comes immediately to mind. Names less generally known include Haim Saban and Sheldon Adelson. The Execution of Louis XVI, 1793, king of France 1774-1793. Charles I of England, monarch of the three kingdoms of England, Scotland, and Ireland from 1625 until his execution in 1649.
a theory that power corrupts men. It is, however, vast anonymous wealth which corrupts, since there are no superpersonal restraints on it, such as bring the true statesman completely into the service of the political organism, and place him above corruption. It was precisely in the fields of economics and law that the Liberal doctrine had the most destructive effects on the health of the Western Civilization. It did not matter much that esthetics became independent, for the only art-form in the West which still had a future, Western Music, paid no attention to theories and continued on its grand creative course to its end in Wagner and his epigones. Baudelaire is the great symbol of l’art pour l’art: sickness as beauty. Baudelaire is thus Liberalism in literature, disease as a principle of Life, crisis as health, morbidity as soul-life, disintegration as purpose. Man as individualist, an atom without connections, the Liberal ideal of personality. It was in fields of action rather than of thought that the injury was greatest. Richard Wagner, German composer. Charles Baudelaire, French poet, member of the Decadent movement. Allowing the initiative in economic and technical matters to rest with individuals, subject to little political control, resulted in the creation of a group of individuals whose personal wills were more important than the collective destiny of the organism and the millions of the population. The law which served this state of affairs was completely divorced from morality and honor. To disintegrate the organism from the spiritual side, what morality was recognized was divorced from metaphysics and religion, and related only to “society.” The criminal law reflected finance-Liberalism by punishing crimes of violence and passion, but not classifying such things as destroying national resources, throwing millions into want, or usury on a national scale. faith with Liberalism. This was not subject to discussion. There was even evolved an abstraction named “economic man,” whose actions could be predicted as though economics were a vacuum. Economic gain was his sole motive, greed alone spurred him on. The technic of success was to concentrate on one’s own gain and ignore everything else. This “economic man” was however man in general to the Liberals. He was the unit of their world-picture. “Humanity” was the sum total of these economic grains of sand. politically possible. These limits cannot be found in the domain of Reason. The Age of Reason was born in bloodshed, and will pass out of vogue in more bloodshed. With its doctrine against war, politics, and violence, it presided over the greatest wars and revolutions in 5,000 years, and it ushered in the Age of Absolute Politics. With its gospel of the Brotherhood of Man, it carried on the largest-scale starvation, humiliation, torture and extermination in history against populations within the Western Civilization after the first two World Wars. By outlawing political thinking, and turning war into a moral-struggle instead of a power-struggle it flung the chivalry and honor of a millennium into the dust. The conclusion is compelling that Reason also became political when it entered politics, even though it used its own vocabulary. When Reason stripped territory from a conquered foe after a war, it called it “disannexation.” The document consolidating the new position was called a “Treaty,” even though it was dictated in the middle of a starvation-blockade. The defeated political enemy had to admit in the “Treaty” that he was “guilty” of the war, that he is morally unfit to have colonies, that his soldiers alone committed “war crimes.” But no matter how heavy the moral disguise, how consistent the ideological vocabulary, it is only politics, and the Age of Absolute Politics reverts once again to the type of political thinking which starts from facts, recognizes power and the will-to-power of men and higher organisms as facts, and finds any attempt to describe politics in terms of morals as grotesque as it would be to describe chemistry in terms of theology. “The Brotherhood of Man” was part of the (jewish) zeitgeist by the late 1940s. the White network – Race and Fraud: The Races of Mankind – Part 4 discusses an anti-“racist” cartoon by that title, which was based on the fraudulent pseudoscientific war-era propaganda produced by Franz Boas’ disciples Ruth Benedict and Gene Weltfish. 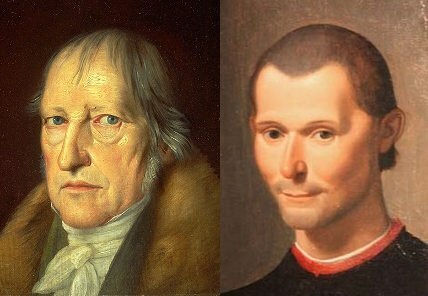 There is a whole tradition of political thinking in the Western Culture, of which some of the leading representatives are Montaigne, Macchiavelli, Hobbes, Leibnitz, Bossuet, Fichte, de Maistre, Donoso Cortes, Hippolyte Taine, Hegel, Carlyle. While Herbert Spencer was describing history as the “progress” from military-feudal to commercial-industrial organization, Carlyle was showing to England the Prussian spirit of Ethical Socialism, whose inner superiority would exert on the whole Western Civilization in the coming Political Age an equally fundamental transformation as had Capitalism in the Economic Age. This was creative political thinking, but was unfortunately not understood, and the resulting ignorance allowed distorting influences to fling England into two senseless World Wars from which it emerged with almost everything lost. Ethical socialism is a political philosophy that appeals to socialism on ethical and moral grounds as opposed to economic, rationalist and materialist grounds. It emphasizes the need for a morally conscious economy based upon the principles of service, cooperation, and social justice while opposing possessive individualism. Therefore, in contrast to socialism inspired by rationalism, historical materialism, neoclassical economics and Marxist theory which base their appeals for socialism on grounds of economic efficiency, rationality or historical inevitability; ethical socialism focuses on the moral and ethical reasons for advocating socialism. Ethical socialism is a form of liberal socialism closely related to Christian socialism, and had a profound impact on the social democratic movement and reformism during the later half of the 20th century, particularly in Great Britain. 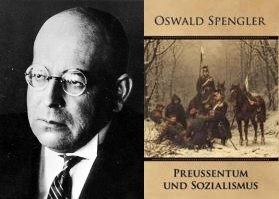 An essay by the author of The Decline of the West, Oswald Spengler, on the need for “Prussianism” in order to save civilization from the “Coloured Peril,” based on Spengler’s view, just after the Naxi rise to power in 1933, that the white (European) tribes were under attack by colored races through a “war” by various political forces – enemies of the white race. Throughout the world they think of Socialism not as a moral attitude of life but as economic Socialism, Labour Socialism, as a mass ideology with material aims. Program Socialism of every sort is thinking from below, building on base instincts, canonizing the herd-feeling which everywhere today lurks behind the slogan of “overcoming individualism”; it is the contrary of Prussian feeling, which has livingly experienced through exemplary leaders the necessity of disciplined devotion and possesses accordingly the inward freedom that comes with the fulfilment of duty, the ordering of oneself, command of oneself, for the sake of a great aim. Labour-Socialism in every form, on the other hand, is, as I have already shown, definitely English in origin. It arose, about 1840, simultaneously with the victory of the joint-stock company and the rootless “financial” form of capital. Both were the expression of Free Trade Manchesterism: this “white” Bolshevism is capitalism from below, wage-capitalism, just as speculative finance-capital in respect of its method is Socialism from above, from the stock exchange. This idea of a “Prussian” existence will be the starting-point for the ultimate overthrowing of the World Revolution. There is no other possibility. I said, as far back as 1919: Not everyone is a Prussian who is born in Prussia; the type is possible anywhere in the white world and actually occurs, though rarely. […] The Prussian idea is opposed to finance-Liberalism as well as to Labour-Socialism. Every description of mass and majority, everything that is “Left,” it regards as suspect. […] All really great leaders in history go “Right,” however low the depths from which they have climbed. It is the mark of the born master and ruler. What Spengler saw as Prussian – “aristocratic virtue, of which few are possessed” and “a proud and exclusive Socialism for men of race, for the elect of life” – are traits Ricardo Duchesne attributes to Aryans. A moment’s reflection shows that Liberalism is entirely negative. It is not a formative force, but always and only a disintegrating force. It wishes to depose the twin authorities of Church and State, substituting for them economic freedom and social ethics. It happens that organic realities do not permit of more than the two alternatives: the organism can be true to itself, or it becomes sick and distorted, a prey for other organisms. Thus the natural polarity of leaders and led cannot be abolished without annihilating the organism. Liberalism was never entirely successful in its fight against the State, despite the fact that it engaged in political activity throughout the 19th century in alliance with every other type of State-disintegrating force. Thus there were National-Liberals, Social-Liberals, Free-Conservatives, Liberal-Catholics. They allied themselves with democracy, which is not Liberal, but irresistibly authoritarian in success. They sympathized with Anarchists when the forces of Authority sought to defend themselves against them. In the 20th century, Liberalism joined Bolshevism in Spain, and European and American Liberals sympathized with Russian Bolsheviks. This is a reiteration of what we found earlier in Yockey’s description of political organisms, the friend-enemy disjunction, and the Laws of Totality and Sovereignty: liberalism is opposition to authority, a disintegrating force with dissolves political organisms and kills them dead. Yockey’s view of democracy as “not Liberal, but irresistibly authoritarian in success” differs from the conventional view which conflates and even equates liberalism with democracy – e.g. “liberal democracy”. Yockey delves into democracy next, starting on page 224.
atomism, in which not only the authority of the State is combated, but even the authority of society and the family. Divorce takes equal rank with marriage, children with parents. This constant thinking in negatives caused political activists like Marx, Lorenz v. Stein and Ferdinand Lasalle to despair of it as a political vehicle. Its attitudes were always contradictory, it sought always a compromise. It sought always to “balance” democracy against monarchy, managers against hand-workers, State against Society, legislative against judicial. In a crisis, Liberalism as such was not to be found. Liberals found their way on to one or the other side of a revolutionary struggle, depending on the consistency of their Liberalism, and its degree of hostility to authority. Here we see a contrast in personality traits of Whites and jews. Whites thought the war was over. Jews never stopped fighting. The jews find fault in White thinking. Whites, to the extent they even think about it, agree. Irrationalism. The corpse of Liberalism was not even interred by the middle of the 20th century. Consequently it is necessary to diagnose even now the serious illness of the Western Civilization as Liberalism complicated with alien-poisoning. Because Liberalism views most men as harmonious, or good, it follows that they should be allowed to do as they like. Since there is no higher unit to which all are tied, and whose superpersonal life dominates the lives of the individuals, each field of human activity serves only itself — as long as it does not wish to become authoritative, and stays within the framework of “society.” Thus Art becomes “Art for Art’s sake,” l’art pour l’art. All areas of thought and action become equally autonomous. Religion becomes mere social discipline, since to be more is to assume authority. Science, philosophy, education, all are equally worlds unto themselves. None are subject to anything higher. Literature and technics are entitled to the same autonomy. The function of the State is merely to protect them by patents and copyrights. But above all — economics and law are independent of organic authority, i.e., of politics. A Latin version of this phrase, “Ars gratia artis”, is used as a motto by Metro-Goldwyn-Mayer and appears in the circle around the roaring head of Leo the Lion in its motion picture logo. invoke successfully the assistance of the law in dispossessing any numbers of peasants and farmers. It is hard to imagine how an individual could injure the political organism more than by thus mobilizing the soil into dust, in the phrase of the great Freiherr von Stein. Heinrich Friedrich Karl Reichsfreiherr[a] vom und zum Stein (25 October 1757 – 29 June 1831), commonly known as Baron vom Stein, was a Prussian statesman who introduced the Prussian reforms that paved the way for the unification of Germany. He promoted the abolition of serfdom, with indemnification to territorial lords; subjection of the nobles to manorial imposts; and the establishment of a modern municipal system. Stein was from an old Franconian family. The Prussian reforms were liberalism in action and included emancipation of the jews. Who pays the piper calls the tune. He who administers the law rules. Getting now to the meat of what Yockey had to say about liberalism. This calls to mind Thomas Jefferson’s invokation of “pursuit of happiness”. retained, its former metaphysical foundation is forgotten, and it is promulgated as a social, and not a religious, imperative. Ethics is necessary to maintain the order necessary as a framework for economic activity. Within that framework, however, “the individual” must be “free.” This is the great cry of Liberalism, “freedom.” Man is only himself, and is not tied to anything except by choice. Thus “society” is the “free” association of men and groups. The State, however, is un-freedom, compulsion, violence. The Church is spiritual un-freedom. All things in the political domain were transvalued by Liberalism. War was transformed into either competition, seen from the economic pole, or ideological difference, seen from the ethical pole. Instead of the mystical rhythmical alternation of war and peace, it sees only the perpetual concurrence of competition or ideological contrast, which in no case becomes hostile or bloody. The State becomes society or humanity on the ethical side, a production and trade system on the economic side. The will to accomplish a political aim is transformed into the making of a program of “social ideals” on the ethical side, of calculation on the economic side. Power becomes propaganda, ethically speaking, and regulation, economically speaking. Economics and ethics aren’t poles in the sense individuals and humanity are. In his view of rationalism/liberalism, economics and ethics aren’t opposed, the latter is based upon the former. The correspondence between indivduals and economics on the one hand, and between humanity and ethics on the other, also isn’t clear. Yockey’s point, I think, was that economics and ethics are connected to each other as well as to rationalism/liberalism. And even if we see economics and ethics as two somewhat independent axes, the two dimensional view they provide permits only a crimped and distorted perception of reality. The more important polar opposites Yockey is trying to distinguish here are Liberalism and Authority. The purest expression of the doctrine of Liberalism was probably that of Benjamin Constant. In 1814 he set forth his views on the “progress” of “man.” He looked upon the 18th century Enlightenment with its intellectualistic-humanitarian cast as merely preliminary to the true liberation, that of the 19th century. 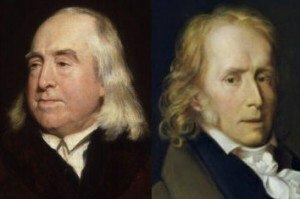 Economics, industrialism, and technics represented the means of “freedom.” Rationalism was the natural ally of this trend. Feudalism, Reaction, War, Violence, State, Politics, Authority — all were overcome by the new idea, supplanted by Reason, Economics, Freedom, Progress and Parliamentarism. War, being violent and brutal, was unreasonable, and is replaced by Trade, which is intelligent and civilized. War is condemned from every standpoint: economically it is a loss even to the victor. The new war technics — artillery — made personal heroism senseless, and thus the charm and glory of war departed with its economic usefulness. In earlier times, war-peoples had subjugated trading-peoples, but no longer. Now trading-peoples step out as the masters of the earth. One of the first thinkers to go by the name of Liberal, Constant looked to Britain rather than to ancient Rome for a practical model of freedom in a large, commercial society. He drew a distinction between the “Liberty of the Ancients” and the “Liberty of the Moderns”. The Liberty of the Ancients was a participatory, republican liberty, which gave the citizens the right to directly influence politics through debates and votes in the public assembly. In order to support this degree of participation, citizenship was a burdensome moral obligation requiring a considerable investment of time and energy. Generally, this required a sub-society of slaves to do much of the productive work, leaving the citizens free to deliberate on public affairs. Ancient Liberty was also limited to relatively small and homogenous societies, in which the people could be conveniently gathered together in one place to transact public affairs. Henri-Benjamin Constant was born in Lausanne to descendants of Huguenot Protestants who had fled from Artois to Switzerland during the Huguenot Wars in the 16th century. 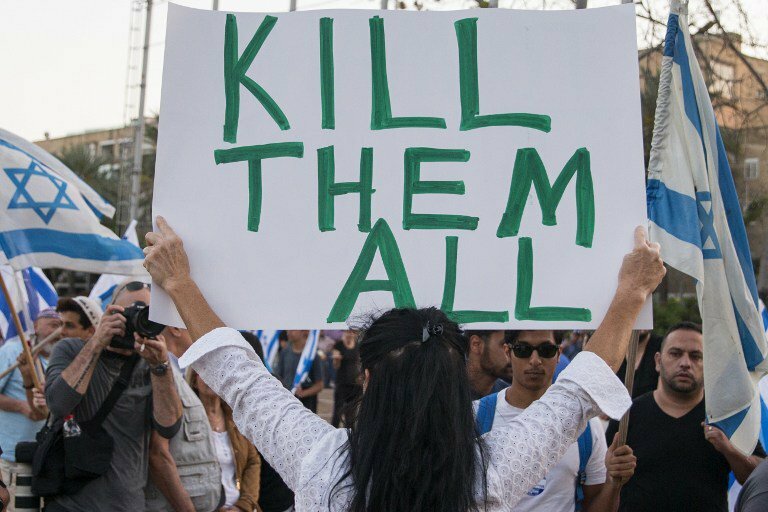 Although my language and culture are French, I often feel more comfortable—morally and intellectually—in Israel than I do in my own country. The Huguenots and the Jews Entwined in the pathways of History indicates that the roots of this affinity are, at least in part, biological, owing to a substantial number of “conversions” by jews.